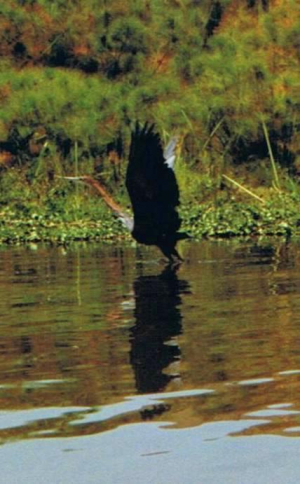 Observation - Goliath heron in flight - Global. Description: Flying low over the water in front of fringing papyrus. Flying low over the water in front of fringing papyrus.